The caregiver industry has changed dramatically in the last five years due to low unemployment, high competition for caregivers and an ever-growing need for caregiver services. Find out what companies like JetBlue, Starbucks, Uber and Walmart can teach the caregiver industry – and learn what innovations are coming down the pike. Maggie Keen is the Vice President of Strategic Initiatives at myCNAjobs. She is a national caregiver recruitment speaker and, after spending the last 4 years consulting with top senior care companies across the country, she has unique insight into what innovators are doing to tackle their toughest recruiting challenges. She’s on a mission to arm healthcare recruiters with more insight about caregiver motivations – to fuel the hiring and retention of a workforce plagued with high turnover. State of the caregiving industry – and why competition for talent is at an all-time high. Innovations that are helping caregiver organizations – and how they can help win the battle for talent. Best practices to be learned – from leaders like JetBlue, Starbucks, Uber and Walmart. Jennifer:	00:03	Hi, everyone! I’m Jennifer with MichelleMarketingStrategies.com, where I specialize in helping healthcare IT and provider organizations to get more leads. Today on Healthcare Lead Generation, we’re talking with Maggie Keen, who is Vice President of Strategic Initiatives at myCNAjobs.com. Maggie is a national caregiver recruitment speaker and, after spending the last four years consulting with top senior care companies all across the country, she has developed very unique insights into what the innovators are doing to tackle these tough recruiting challenges. She is on a mission to arm healthcare recruiters with more insight about caregiver motivations to fuel the hiring and retention of a workforce plagued with high turnover. Maggie, welcome. It is such a pleasure to have you on the podcast! Maggie:	00:49	So excited to be here. Jennifer. Jennifer:	00:50	Well, let’s dive in! This is such an important issue. Caregiving is becoming more and more of a factor in our healthcare system as the baby boomer generation grows and it’s something we’re all going to have to deal with. You have been in this industry for such a long time and seen it from the inside out. Give us a bit of an overview of the state of the Industry today and what’s going on with it. Maggie:	01:14	Yeah, absolutely, Jennifer. So I couldn’t have said it better myself. Things have changed drastically. So I’ve been with the team at myCNAjobs for about four and a half years. ‘m sure your listeners can agree that caregiver recruitment has changed drastically over the last five years. So the tables have really turned. Caregivers, CNAs, home health aides, they’re getting three calls every single week for work. So there is definitely a shift in the industry today. Jennifer:	01:43	What is really triggering tha? Is there so much need? Are there are so many more senior care needs or other kinds of changes in the healthcare system causing that? Maggie:	01:51	Yeah, I think it’s both of those actually. So one, I think there’s a large … they called it the silver tsunami, it’s one of my favorite phrases I think in senior care. But there’s a lot of folks who are going to need care over the next five, 10, 15 years and there’s fundamentally a shortage of the folks who can provide that care. And not just in our industry, but there’s other industries that are actively targeting those candidates, as well. And so there’s a lot of competition for this talent. We actually were talking recently about hiring at the holidays as we head into the end of the year here. And you know, we’re facing historically low unemployment as an economy, which is really interesting to look at across the board and to see how that impacts caregiver recruitment. Jennifer:	02:41	So who exactly is hiring caregivers right now? Maggie:	02:45	Really there’s a few big groups. So there’s home care agencies, which makes sense, right? There’s assisted living communities, hospitals and health systems, nursing homes. Smaller, perhaps private home care, but also families. So families are hiring direct, they’re bringing caregivers in to take care of a loved one in their home. And there are so many elderly folks and folks who need additional care that would prefer to stay in their home, not just from a cost perspective but from a lifestyle perspective. And so I think more and more individuals are looking for that, go directly to a caregiver and go outside of an agency. A lot of folks will, so that’s really the groups that I think are hiring caregivers within our industry. And then there’s other organizations, other industries outside of senior care that are targeting this population. So those would be retailers and fast food and things like that? Jennifer:	03:46	So when you’re competing against places like McDonald’s, places like Burger King, Amazon, all of these different places, what are the healthcare companies or organizations doing to appeal to caregivers when they have so many different options? Maggie:	04:01	Yeah, openly, I think they’re trying to figure that out. Not to say that there isn’t an answer to that question, I think there’s things they they can be doing. But I think that a lot of healthcare organizations are kind of realizing that they can’t just keep pouring new people or limitless supply of caregivers in the top of their funnel and hope that they don’t lose them on the way down. There really isn’t a secret stash of caregivers. I wish I could say that myCNAjobs is that secret stash, but it’s not. There is just a fundamental shortage. Maggie:	04:35	So I think one of the big things that the agencies, assisted living communities can really do is understand what their role is in the competitive landscape. So where do they fall compared to another agency or a community, but also where do they fall compared to Uber, where do they fall compared to Starbucks? So what does their offering actually look like? And there’s some things they’re going to be able to compete on and there’s some things they’re not going to be able to compete on. So understanding it in this space is a huge start to get an answer to that question. Understanding where you fall today. Jennifer:	05:09	Well, let me ask you this. Do you find that the organizations that are hiring all of these people as caregivers, do you think that they are understanding that things have changed? Or are they still thinking it’s the same old, same old? Maggie:	05:23	That’s a great question. I would have said even just a year or two ago that I think most folks across the industry were like, if you don’t look at it, maybe it’ll go away. Like if we just don’t talk about it or we kind of just do what we continue to do. The challenges – I think they’re feeling the pinch now. And I think reality is setting in. So, you know, we publish an annual caregiver trend report and, last year, the subject of that was The Crisis Has Begun. While that seems very dramatic, I think it’s true. I think this was an impending crisis and now it’s here. So now it is about saying, what am I going to do about this shortage? How are we going to change our recruitment offering, our brand really to align with the fact that caregivers have options?, which I think is a big change for a lot of these folks. Jennifer:	06:15	Do you think that there are things that these organizations can do? I know that they are in some cases restricted by what Medicaid pays or things like that. I mean, how much flexibility do they have? Maggie:	07:50	Amen. Amen. But thinking about that and then also thinking, what are some other benefits that you can offer? Things like 401k, things like insurance and access to healthcare. And paying mileage. There are some big companies that are coming into the space and they’re offering $4 for $5 more an hour. That’s going to be hard to compete with. Right? So what are some other things that we can do? And it really is looking at those other more qualitative benefits perhaps outside of it. Jennifer:	07:51	Well, let me ask you about some of the other companies … I was actually thinking of something we had discussed prior to this interview. For everyone listening, yes, we always talk before the interview so I have a little more information. I know you talked about Amazon as being a bit of a game changer. How is that changing things because that is not quite the same as your typical McDonald’s position and it’s certainly going to be a wave of the future also. Jennifer:	10:21	And it’s one place so you figure out how to get there and you don’t have to try and coordinate that. And that’s a huge issue. And that is going to be something interesting to watch on a lot of levels. Well then, this leads to the next think. I know that you had talked about your crisis edition report, which I think is fantastic and anyone in the caregiver world should definitely be looking that up. But it said that 73% of the people who were polled would not recommend their current employer to a friend yet 95% say they’re more likely to want to work for a company if you guys at myCNAjobs recommend them. So right there, that tells me that you are understanding something about building trust with this group and understanding their needs in a way that their employers aren’t. So let’s talk about what is not being understood and what is going on there that you are able to build trust on that level. Because that’s really impressive. Maggie:	11:22	I think that fundamentally we’re not an employer. So an interesting piece of that is we’re this weird kind of third party and caregivers can be straightforward with us, give us feedback about employers. We can be open and honest. I mean there’s companies we’ve chosen not to partner with, so I think it is interesting in terms of who we’re endorsing carries some weight. And we offer caregivers option. So we have a suite of recruitment solutions where we’re really matchmaking those caregivers to jobs in their local area and we’re talking to them and we’re presenting them multiple opportunities. I think really as an organization we are making some changes in some ways in this space around benefits, around pay. We’re informing some of our own clients and senior living or home care that, here’s what other companies in your area are offering that you’re not. Really to be competitive, here are some things that you need to do. That’s changed the landscape for some caregivers and in some markets across the country as well. I think it’s them trusting us as a place that will give them the best option. Give them the best choice of opportunities and places to work. And then I think it’s also about putting that caregiver at the center of our business. We offer a lot of resources beyond just jobs. So it’s things like continuing education units that are free, things like scholarships for schools. So I think there’s a lot of resources beyond that where we’re really investing in the caregiver, which I think that agencies and companies can learn from. I think agencies and companies can really think about how they can do a similar level of investment on a local level. Jennifer:	13:02	Let’s talk about that because I think there has been a tendency, and correct me if I’m wrong, because I don’t know as much about it, obviously. But I think, historically, caregivers were seen as little more than an expendable resource. They weren’t necessarily something that the employers thought, let’s invest in this like an actual company employee that we want to be with us and see them as an asset. Am I understanding that correctly? Maggie:	13:27	Unfortunately, I think so. I do think that historically, and I don’t know if this is still today and I don’t of course want to paint with a broad brush, and this is, of course not everyone. I don’t even think it’s the majority. I think though that as an industry, we could truly put a help wanted sign in our window or go on a free job board like Craigslist five years ago and find all of the caregivers or care workers that we wanted, and that has just changed so drastically. The caregivers are really in the driver’s seat. I think that that’s a shift. I think we’ve also really relied as an industry on a single source. You know, I use one place to find all of my caregivers. If I think about how recruitment has changed, you’ve got to fish in a lot of different ponds. You have to expose yourself to a lot of different areas, go meet caregivers where they are, which I think is a big shift. So I think we have treated them that way. I think pay is a piece of that. But there’s a lot of other tools as well. Jennifer:	14:31	It also sounds to me like one of the real impacts that myCNAjobs is able to provide is not just to the caregiver but to the entire community around that caregiver. So that the organization seeking caregivers start learning, hey, this is what you need to do to be competitive. This is information you didn’t have about your area. This is why you’re not able to retain, or this is why retention needs to be a focus of yours. And I think that that has to be such an amazing support for the caregiver community, to know that you’re out there speaking for them. I mean you’re advocating for them and that changes the whole game. Maggie:	15:10	It really does. And I think, unfortunately, there’s not enough organizations out there that are doing that. That is our fundamental mission as a business, paving the way to provide the best care by empowering those that deliver it. That is our mission, which is really caregiver-centric. And so I think that bringing things like our caregiver trend report to the table every year, I’m getting that information out to our partners and clients in this space. I think brings the caregiver’s voice to the table, which unfortunately I don’t think has for a long time, been a part of the conversation. Jennifer:	15:45	So is that what you find, usually conversations about how an employer can stand out among the competition? Is that usually where it starts, which is you need to start thinking of your caregiver and thinking about it from their perspective? Maggie:	15:58	Yeah, absolutely. And I think looking at things like your recruitment marketing, so to bring it back to your marketing side – but you are an expert and you can chime in as much as you want here – I think a lot of companies have invested in marketing for clients, right? Marketing for leads or referral partners, but when we asked them how much money they have in their recruitment marketing budget, we get a very different response. It’s usually like, what is that? Or we don’t invest in that, that’s not something that we’ve invested in, but we’re interested in investing in it. What does that look like? Jennifer:	16:34	That always fascinates me because that’s one thing I actually see a lot with the healthcare clients that I work with, which is that you are having to give your message to so many different groups that have very different interests and needs. But your company is not going to survive unless you do that, that is just par for the course. If you’re selling, for instance, any kind of healthcare IT to a hospital, there’s not some magical person there who’s going to sign off on that and say, sure, implement that for all of the thousands of doctors in our system. Go ahead. You’re going to need to convince several people and it sounds like in your world, the caregiver, employers, they are realizing we need to bring in the clients, but we’re also having to market ourselves to the caregivers. And that’s an entirely different message and I always find that exciting because you have to think what do they need? Because I know everybody thinks marketing is very kind of cold and calculating and it’s all about ads but, really, when you do it right, and I love that healthcare gives you so many ways to do it right, it’s about putting yourself in their shoes and understanding what they need. And helping them – and that’s what you guys are doing beautifully. I would think that that is something that employers would be really seeking out, especially as you say, with low unemployment, I would think that’s something they’re going to have to suddenly realize, better take this as a wake-up call. Maggie:	18:00	So I think a lot of brands are. I think they’re starting to say how do we build a caregiver brand? How do we build a recruitment brand or a recruitment image? And that’s a great thing. Everyone wins if we focus on the caregivers, because you mentioned something, I think that’s interesting and worth noting too. The idea that we’re talking about recruitment, but we also need to talk about retention. So we have an almost 70 percent turnover in home care. If you think about that, that’s incredible. So it’s not just about getting folks in the front door, but it’s about keeping them there and I think we need to do some PR for home care and just some PR for senior care in general. So what does it look like to be a part of this industry and build a career here and stay here? Jennifer:	18:47	It is a big switch. You know, when I was growing up, my dad had multiple sclerosis, so we had home caregivers. MS is not an easy illness. it was 20 years of literally losing abilities, it was just a downward spiral, just boom. And so we brought as I was growing up, a lot of different caregivers in the home and it was a really wide range. There were the people who clearly are going to have a problem finding jobs anywhere and they were just trying this. But then there were the people who were extremely good at it and you wondered how they could afford to do it because it wasn’t really taking care of their needs like a job. But they had a vocation. They had such caring in them and such ability and interest in helping another. Honestly, you would think you want to support that person in your community and build that instead of just making it so hard for them. So I am glad that there’s a change in that because I do remember seeing all the people come through and it was scary also for the people who were ill because you had to constantly be looking for someone else and you couldn’t really stay with someone. You couldn’t build a relationship. You couldn’t rely on it. And it’s harder to be well under those circumstances. Jennifer:	20:08	Well, let me ask you this. I know that one of the things you do is bring a wider industry perspective to this world and say we have to do it differently. Let’s look at leaders outside of caregiving and what can we learn from them. So talk to me about what senior care in general as an industry can learn about recruitment from these big companies, Starbucks and Jetblue and Uber and Walmart and all of these other ones out there. Maggie:	20:34	Absolutely. You hit the nail on the head. We regularly look outside of our industry and we say, what are other industry leaders in their own spaces doing well in terms of recruitment? And you touched on a few of those brands. To start with one company that I think is doing really incredible things that really kind of started me down this path is Jetblue. Jetblue is a national airline carrier. And really interesting stuff that they did. They brought in some outside consultants a couple of years ago and they said, alright, what does recruitment look like for airline pilots next year in five years, in 10 years? And they realized that they were actually going to be facing a national pilot shortage. And I laughed out loud when I read this, not because I was making fun of them but more because I was just shocked at the fact that this is so similar to what we were facing in the caregiving world. Exactly. You know, I’m like, oh, you’re facing a pilot deficit. This sounds familiar to me. So, there’s some headlines like Jet blue hiring pilots with no previous experience flying planes. And I was like, what? So as someone who flies a lot for work, this is kind of alarming. Jennifer:	21:43	Yea, I actually fly Jetblue all the time, they have direct connections from here. Maggie:	21:49	So I’m always on Jetblue and I wanted to see that marketing strategy. I kind of love it a little bit because it did make me look into. It. Jetblue basically is growing their own pilots. They have this program in-house and they decided, okay, it’s over 100,000 dollars now for someone to be a pilot, takes years to work your way up through a large airline carrier to get the job you want. What if we just started making our own, creating our own and what’s incredible here is that Jetblue is doing this. But Jetblue didn’t stop hiring traditionally trained pilots. They’re still doing that. They just said we’re going to go and kind of make our own pond that we can fish from. Which I think is really interesting and so I think there’s a lot that senior care recruiters can learn there. We have to train. There’s fundamentally not enough people in our space, so how can we go and create more caregivers and we really should be. Jennifer:	22:48	It’s so interesting to me because I think, in many ways, we are finding that we went too far away from the economy and the job model that we had in the fifties and sixties where people got a job and learned and were invested in and stayed with that organization. And those companies grew and were strong and supported entire communities and it was something that was beneficial all around. I think we went a little bit to the other extreme where people just went in and out of jobs and people were creating companies to flip them. It was a very different world. But now in the end it’s not as sustainable as going back to the beginning and saying, oh, what if we hired people we wanted to keep around and what if we help keep them around? And so I think that’s brilliant. Maggie:	23:35	I think it’s interesting too … I mean, I have family members, like you mentioned that have been with companies for 30 years, which almost doesn’t happen anymore. And I think the average Millennial will work at 14 different companies over their career. Jennifer:	23:49	Exactly. And that whole gig economy coming in. Maggie:	23:52	Yep. You got it. You got it. And that’s a beautiful next segue then. So the gig economy, the idea that you get paid when you work, where you work and I think there’s a company that is doing a fantastic job around that which is Uber. Car services ride sharing. I actually applied to drive for Uber, not because I wanted to leave my day job but because I wanted to see how easy it was. And it was incredible. Uber paid for my background check. It was immediate there. Their whole process – it was easy to apply and incredible to get through. I could have been working that same day basically, which is really interesting when you think about processing in senior care – it is not that quick. No. And that’s a big challenge now. Jennifer:	24:42	And in the end, there are a lot of similarities because when you are bringing somebody in your home, they need to be trustworthy. You’re trusting them, literally, with your life, but that is the same as your Uber driver. You’re in a car. I had to get dropped off in the middle of night. It was just outside of Detroit at like three in the morning to catch a shuttle to the airport and I don’t want some random person picking me up. I want to know, okay, I’m probably safe with this Uber driver and I know it’s not 100 percent but you want to know they’re doing something. Especially because my next thing was going to be sitting outside. I still remember sitting down next to this guy who looked just as nervous as I was and we’re like, we’re probably not murderers so it’s okay for us to sit together, which is fine at three in the morning. Jennifer:	25:30	Yea, we’re both sitting here going, why isn’t the airport easier to get to from here? It seems like a bad plan. He was actually a very cool person. We had a great conversation, but I’m a talker. So that was a fun thing, but I do remember that moment of what am I thinking and that’s kind of what you go through think a little bit with caregivers. It’s okay, I’m bringing somebody into my home. So I think there are a lot of parallels. So. Okay. The process you said was so easy. What else was that like? What did you find from that that applies? Maggie:	25:57	You know, it’s interesting with Uber, particularly looking at senior care and looking at hourly workers. If you work for Uber today, you get paid by Uber today. I think that’s really interesting when we look in home care recruitment and in senior living recruitment, some of the biggest motivators are, do you have direct deposit? Do you get paid weekly? Imagine if we took that a step further and you got paid for the shifts you work the day you worked them. There are some companies that are starting to do that in assisted living. I haven’t seen a lot of home care companies exploring it yet, but we’ve seen a few senior living providers that are exploring it, so processing is as much about getting someone in the door and getting them on their first shift as it is about payroll processing. Just things that you can do to make that caregiver’s life easier, which I think Uber does a good job of. Jennifer:	26:53	So what about some of the other organizations? Are there others that are good examples? Maggie:	26:57	Yep. Starbucks, which we talked about doing God’s work. Starbucks is a brand that has an incredible interview experience. Everybody gets a free drink. You can walk into almost any Starbucks in the country. If they’re hiring right now and the managers available, they’ll sit down and interview you immediately. There’s no resume, nothing you need to actually apply. So I think anything you can do to make that interview experience memorable is going to make you stand out. And then I think companies like Walmart, as much as I think they’re demonized in a lot of ways. One percent of America works for Walmart. Maggie:	27:34	One percent of everybody in our country, they are the largest private employer in 22 states. So they are often the company that’s offering the most in terms of benefits. They’re investing in the folks that work for them. At the holidays here, they’re not bringing in any outside employees or seasonal workers. They’re giving those extra hours and overtime to their current staff. So I think there’s some interesting things that companies are doing outside of our space if we kind of pull our heads up and look around, that we can really learn a lot from. And I mean we can take those learnings and really apply them to recruitment by improving our processing times. I think conducting our interview experience more memorably, fundamentally creating more caregivers. I think that’s a big piece of the puzzle too. Jennifer:	28:20	It becomes a positive feedback loop because the better the experience is, the more people want to be in it and the more they want to be in it, the more it becomes a viable place. And the more it gets respected and then it becomes something people seek out and that’s the direction we want it to go. Jennifer:	28:37	Maggie, thank you so much for sharing your insights with us. This is just an amazing perspective on the caregiver world, which I don’t think a lot of us have, so I’m delighted to see into it. For everyone listening, you can learn more about Maggie’s work at myCNAjobs.com. 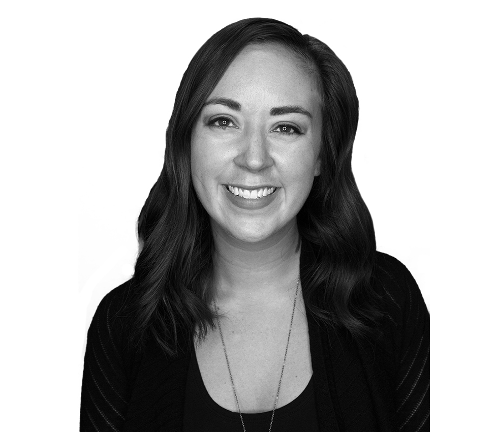 Maggie is VP of Strategic Initiatives at myCNAjobs. She’s a national caregiver recruitment speaker and spent four years consulting with top senior care companies all across the country. So she’s got very insightful ideas about what innovators are doing to tackle their tough recruiting challenges and she is on a mission to arm healthcare recruiters with more insight about caregiver motivations, so they can fuel the hiring and retention of a workforce that is typically plagued with very high turnover. So Maggie, thank you so much for being on the show. It has just been a total pleasure. Maggie:	29:27	Absolutely. Jennifer, thanks for having me. Jennifer:	29:29	Absolutely. And everyone, I’m Jennifer Michelle of MichelleMarketingStrategies.com. I specialize in helping healthcare IT and provider organizations get more leads. Thank you so much for coming on the show, Maggie. And everyone else, catch you next time!